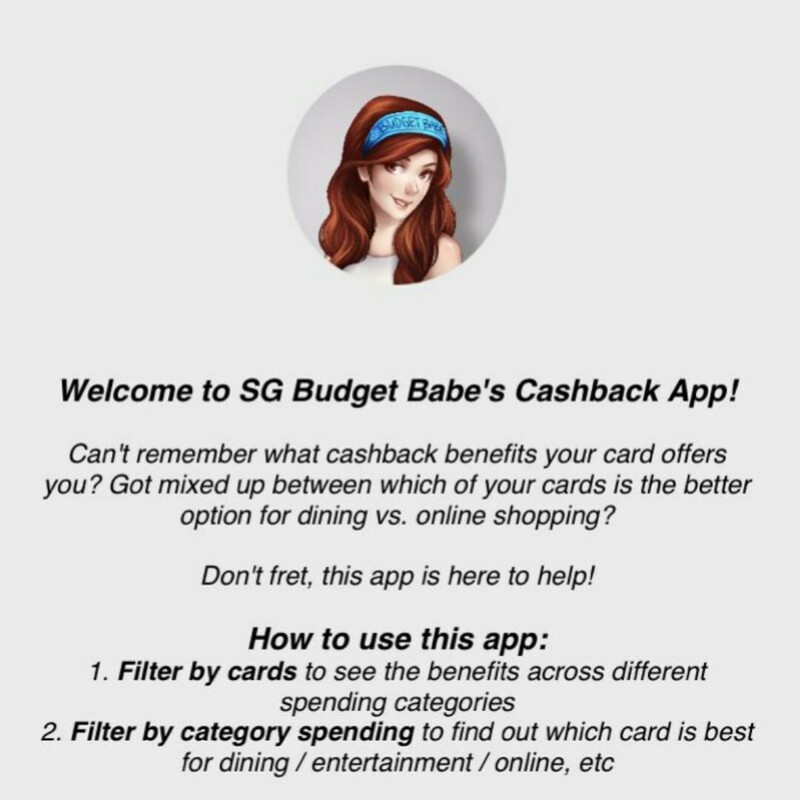 SG Budget Babe: The SGBB Cashback App ! 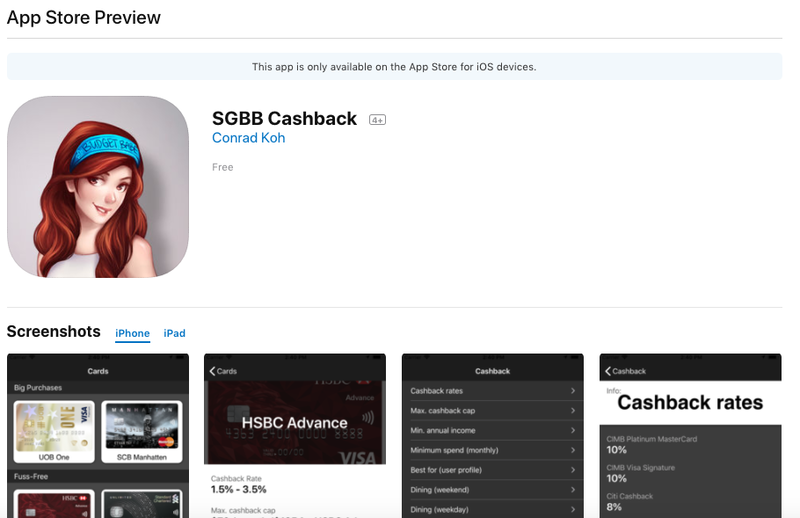 The SGBB Cashback App ! There's a new app for download - one that's designed to help you manage and maximise your cashback credit card game. As an advocate of cashback credit cards, one of the most common questions I get is on how to MANAGE our cards, especially given how there are a multitude of credit cards which give varying cashback rates across different categories. For instance, imagine if you own the OCBC 365 card and Citi Cashback Card (a pretty common combination among my friends). 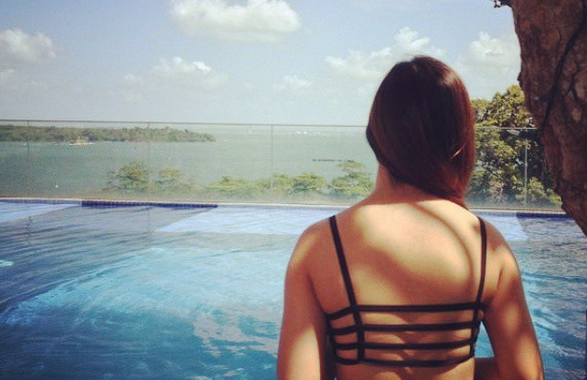 The OCBC 365 card gives 6% on weekend dining, but this falls to 3% if you swipe for the same dining places on weekdays. On the other hand, the Citi Cashback gives 8% for dining, all days of the week. But if you're using your card for online shopping, you'll be better off charging it to your OCBC 365 card which gives you 3% cashback, whereas your Citi Cashback card only gives you 0.25%. 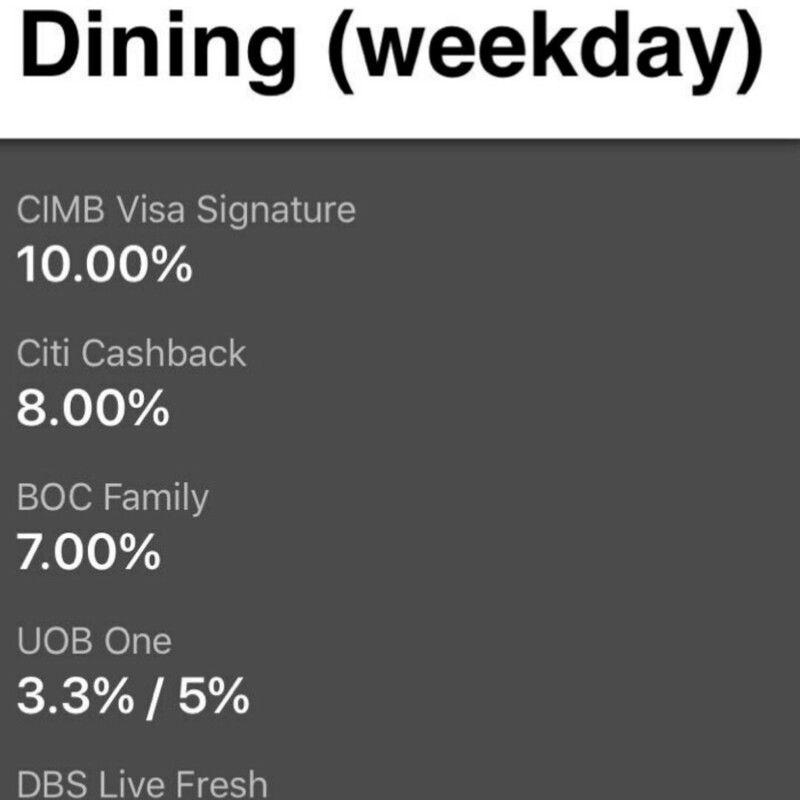 But if you're shopping for toiletries and used your DBS Live Fresh card instead, you would only get 5% cashback - in contrast to the 10% you would have gotten from swiping your CIMB Platinum Mastercard. How do we keep track and manage our various credit cards for maximum cashback? The truth is, credit card companies have made it extremely difficult and tedious for us consumers to keep up with all their varying terms and conditions. 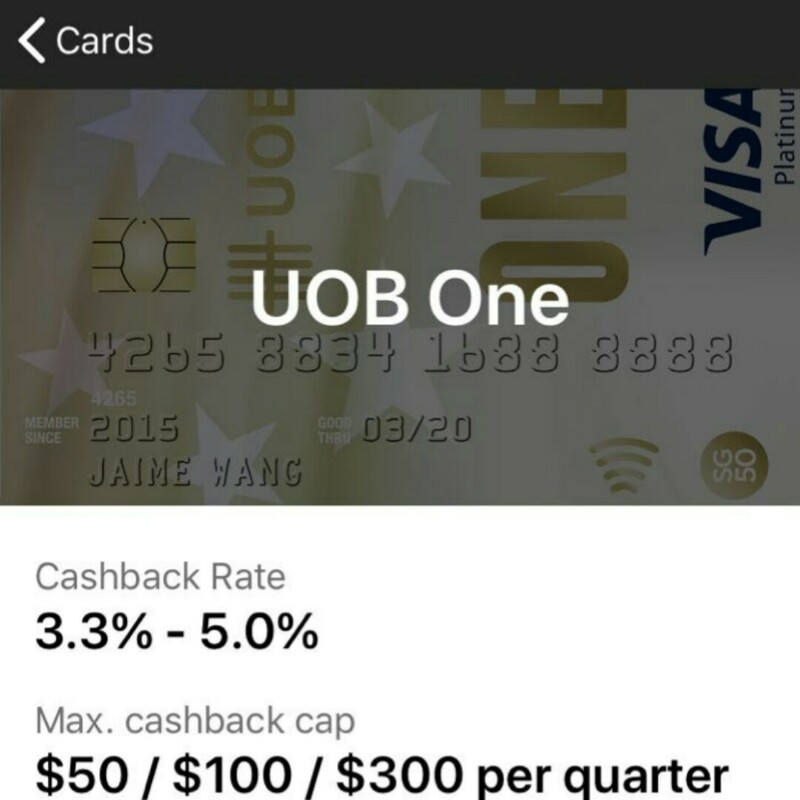 I'll give you an example - consider the UOB Yolo card. I'm not sure about you but I certainly cannot remember all of that! The situation isn't always as simple as a flat cashback percentage on all our spending. 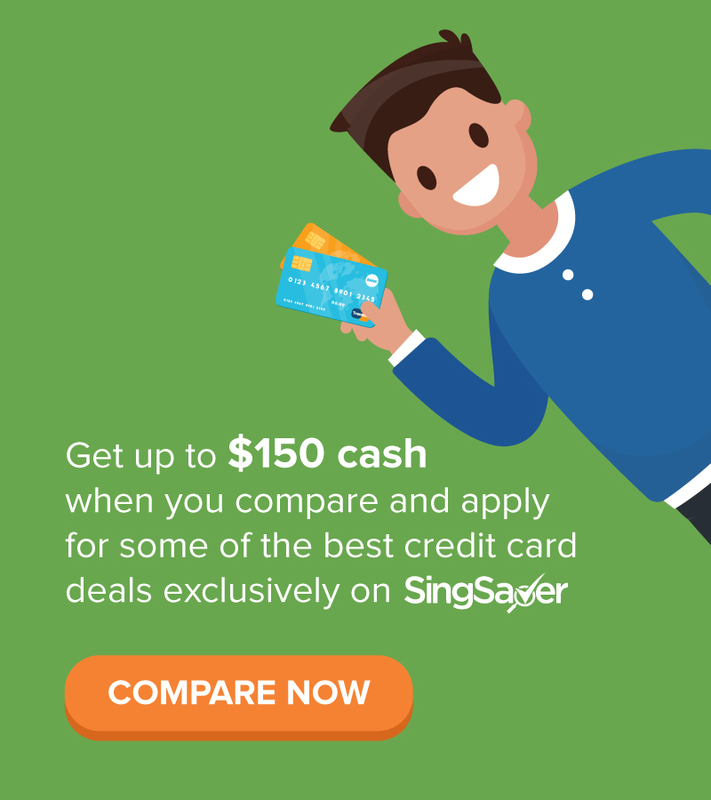 While there are cards like the SCB Unlimited Cashback Card which gives you 1.5% across all categories, the trade-off for this convenience is a lower cashback rate (see my review and reader's promo here till 30 March). Remember the 10% for dining by CIMB Visa Signature? 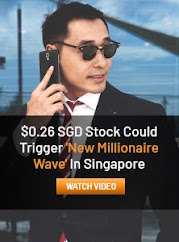 So it got me thinking...WHAT IF I could make it easy for consumers like myself to get around this? And then the solution hit me: a mobile app! It seemed so obvious to me that I wondered why no one else had ever done it before. I tried building the solution myself initially through a third-party platform and completed 80% of it, but then I realised the program I was using hadn't been very transparent about subsequent costs that needed to be paid and maintained after the app goes live. Moreover, according to their T&Cs, the data I had built would be owned by that company and I didn't think that was right. So I worked with a local app developer, gave him all my materials and the mock-up of the app I had built so that he would understand what I had envisioned. You can download this on the App Store (iPhone users) and Play Store (for Android consumers), for free! 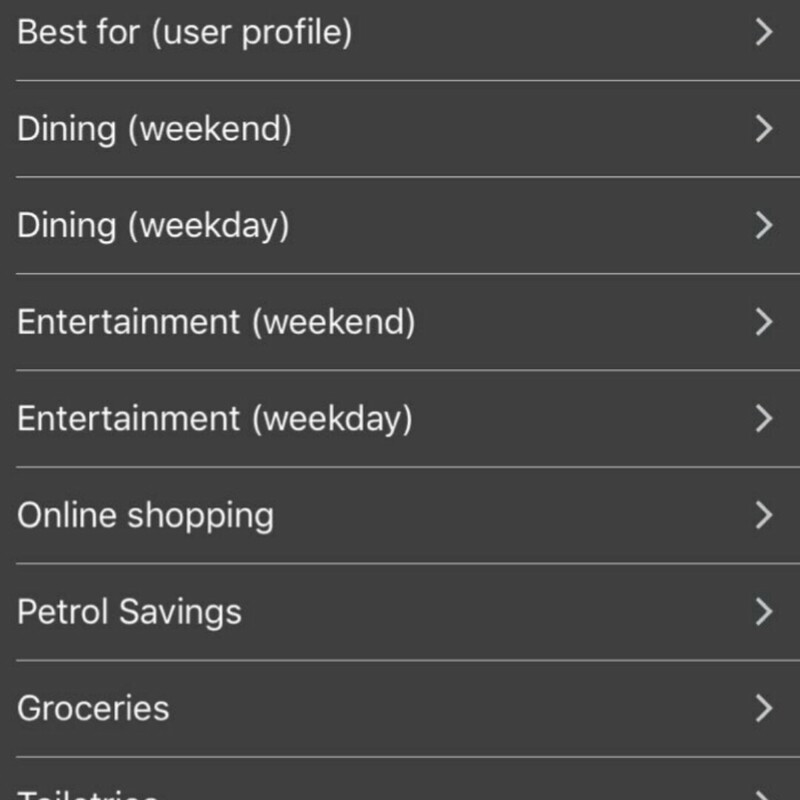 You can filter by category to find out the respective cashback rates across the different credit cards. For instance, say you're out dining at Fish & Co. on a Wednesday and cannot remember whether it will be wiser to swipe your OCBC 365 or CIMB Visa Signature. Open the app and click on "Dining (weekend)" and you'll immediately be able to compare which card will give you the highest cashback. In this case, the app will show you it'll make more sense to swipe your CIMB Visa Signature! Another way is to toggle between the different cards. Say you own 3 credit cards in your wallet but want to head out with a small clutch containing just one card. Tap on the card you wish to view. And the app will show you all the benefits of that card across the different categories! Also, if you were wondering, there's no need to worry about downloading this app because there is absolutely no catch. You're not required to key in your personal data or share what cards you have. Heck, you don't even need to create an account to use this app! There are no ads on this app and it doesn't do annoying things like a pop-up to tell you to sign up for a new card promo, etc. I do not intend to go out there and get advertisers for this app, and neither do I have the bandwidth to do so. This is, after all, a one-woman project (with the help of my awesome developers). And because of this, if you spot any errors in the app (especially if the cards change their rates, etc), please do let me know so I can get the changes made! It can get quite tedious for me to keep track of all the cards otherwise, especially if it isn't cards I personally own. 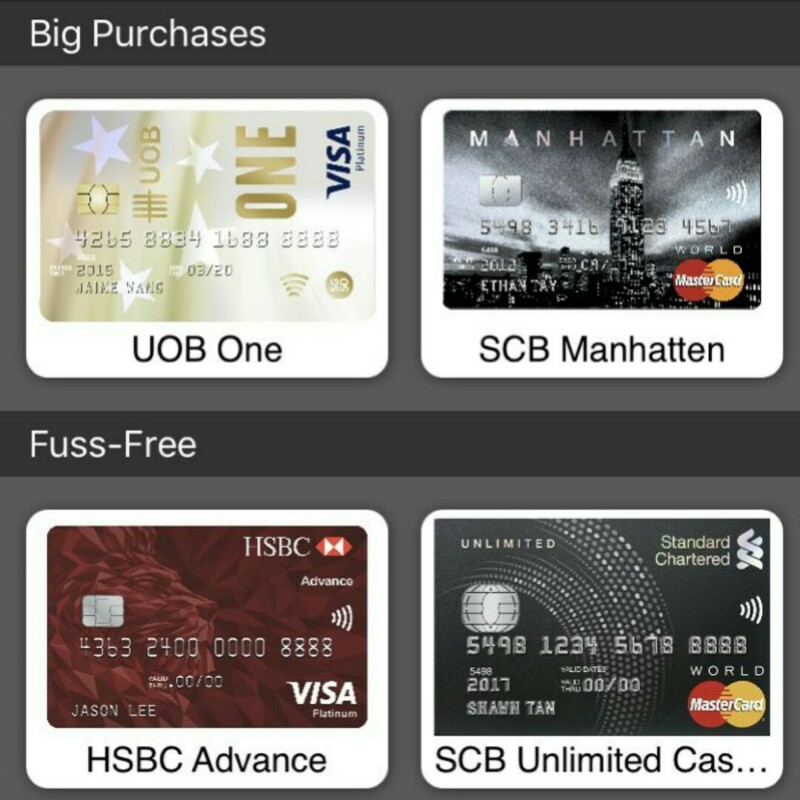 I know cards like SCB SingPost and (more recently) SCB Manhattan have been discontinued for new sign-ups, but I've kept them in the app because there are people I know who are still using the cards now. This may be removed in a few months time once they officially become obsolete. So there you go guys, I hope you like this! :) Go ahead and download it from the iOS App Store or the Google Play Store today! P.S. My biggest thanks go to Conrad and Eugene, who have helped tremendously in making this side passion project come alive. Thanks for taking the effort to develop such a useful app! Also, thanks for today’s sharing at the CPF talk. 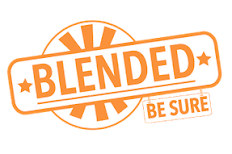 Just curious does you or your Husband make the decisions regarding to financials. Hope the Android version will be out soon! Thanks for the great effort!! !